WOOOOOOOWZA I just finished a Frozen party this past weekend and I think this is my first full day back in the non-frozen world! It's so exciting not to be working with snow, white spray paint, and blue glitter! Bring on the eyeballs and blood and creepy stuff. Scroll down for this fun eyeball garland. 1. 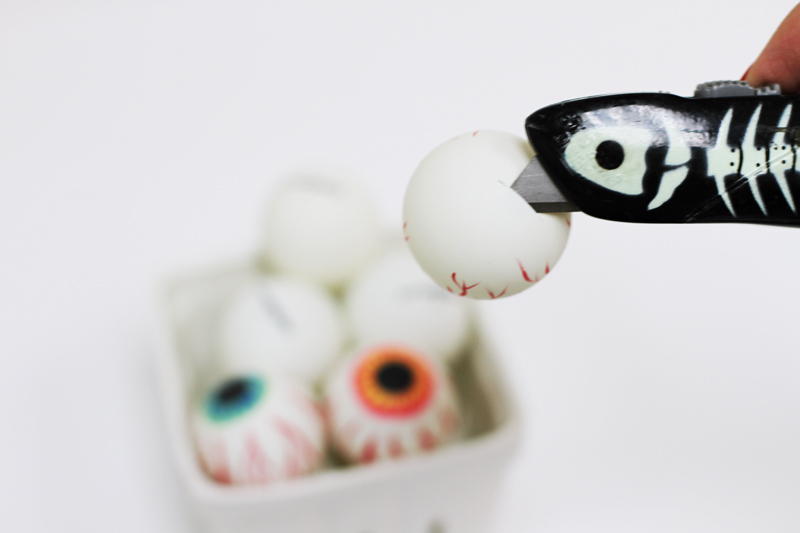 Paint your ping pong ball into a creepy eyeball and let sit in a clean egg carton until dry. 2. CAREFULLY stab the back of your ping pong eyeball with an X-acto knife. 3. Push the Halloween lights through the ping pong eye ball!